We’d like you to meet Graham G., a creative DIYer and editorial submitter for HubPages. Graham was working on a project called, “31 Days of Pin-testing” where she explored cool ideas on Pinterest and attempted them herself. After seeing many inspiring stenciled room ideas on Pinterest, Graham was tempted to give it a try. She had a blank hallway that could use some paint and personality. 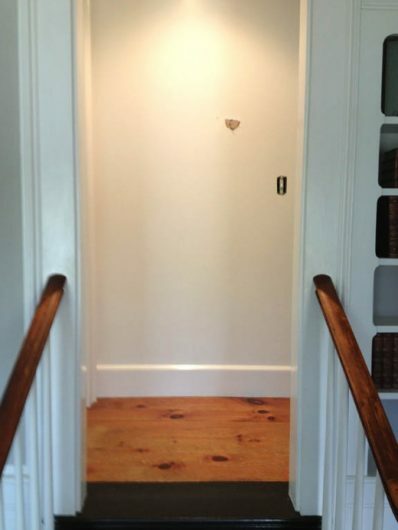 Here is what her hallway looked like before its makeover. 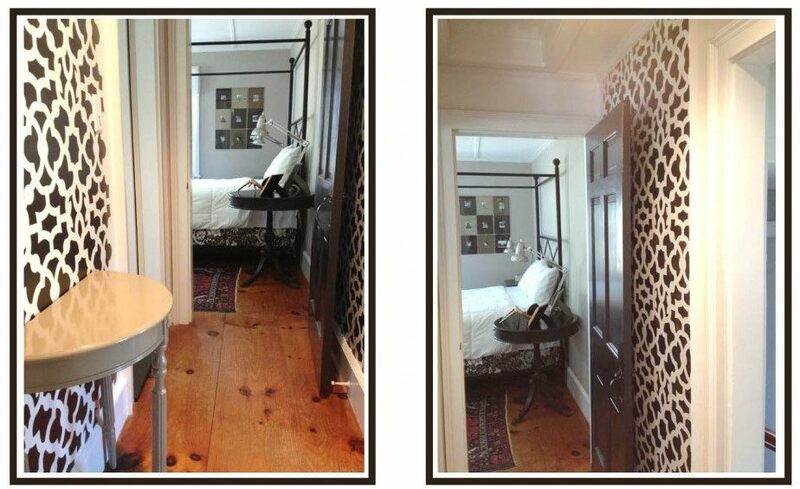 Graham said, ” My goal was to add visual interest to a small space that lacked any design. The space gets little direct sunlight and I had decided to simply paint it a bright white until another idea came to mind.” She browsed our website for the perfect stencil pattern for her project and landed on the Zamira Allover Stencil. This intricate allover pattern can flatter any wall! Graham’s hallway was already painted bright white. With her stencil in hand, she was ready to start her project. She used blue painters tape to hold the stencil in place on the wall. Then she poured her paint into a small tray and painted with a dense foam roller. 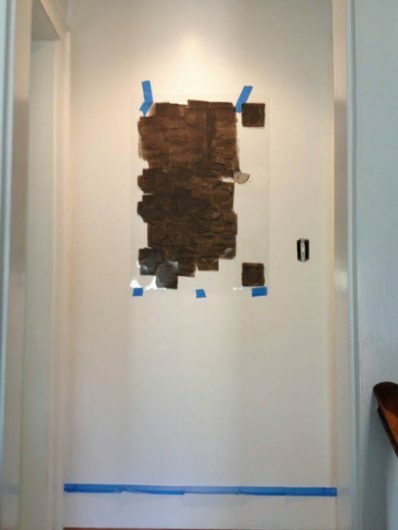 Graham painted the Moroccan pattern in an espresso brown hue that she had on hand. 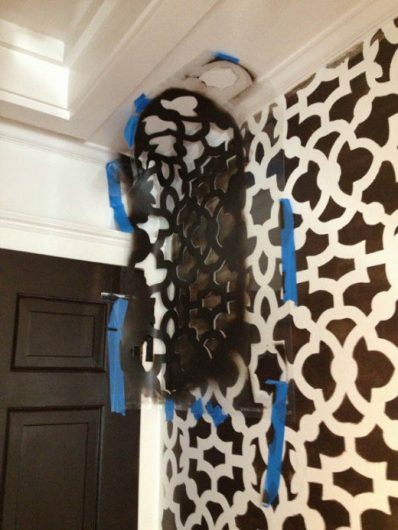 After each stencil design was painted, Graham would un-tape the stencil and reposition it until her entire hallway was painted. She carefully bent the stencil to paint the corners of the wall. Once the stencil was complete, Graham stepped back to admire her handiwork. 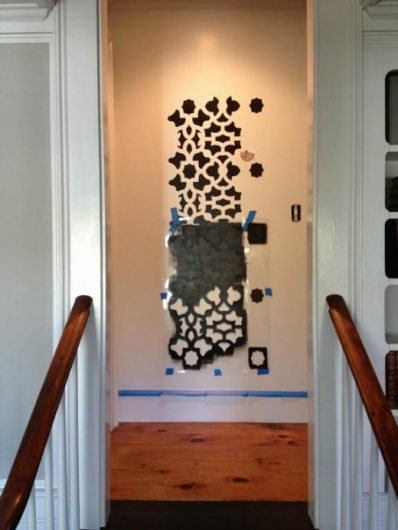 Graham stenciled the two walls along her hallway. She commented, “It was a fun project. I’m pleased that I attempted it.” We think she did an awesome job and we love the patterned flair that the Zamira Allover Stencil adds to her space. 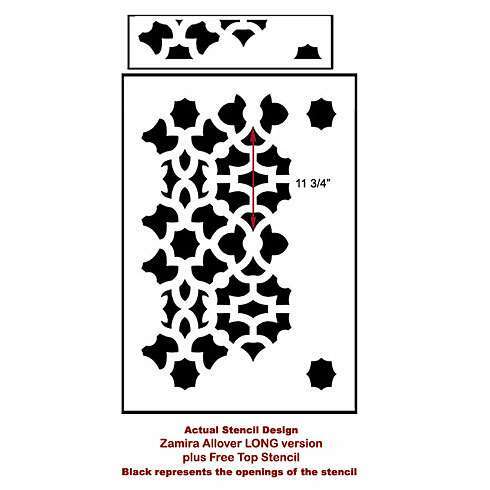 Tell us, where would you stencil the Zamira Allover pattern? Leave us your thoughts in the comments below! 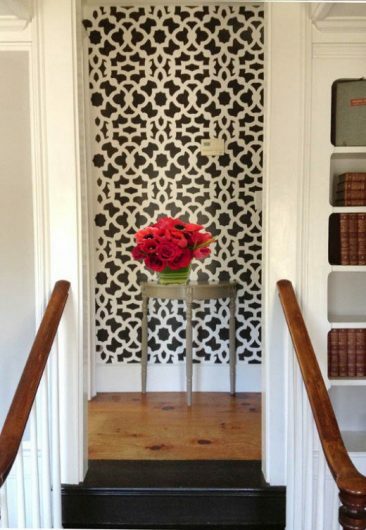 Buy a stencil and add style to your home today!